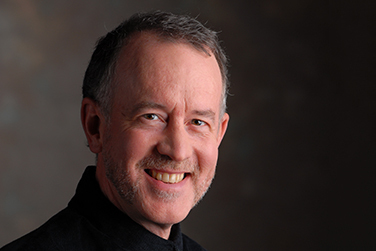 James Ross leads the National Festival Orchestra in a concert featuring two bold American symphonies paired with a new work by rising star composer Samuel Carl Adams. Adams' Drift and Providence takes its inspiration from both the ocean and locations around San Francisco and includes live sound design performed by the composer. New this season is the SPARK! series in the Lobby Lounge. Converse with conductors, jam with composers, mingle with student musicians and much more in our new pop-up lobby lounge. No lectures here, just fun conversation meant to spark your interest and curiosity about that evening’s performance and performers. Drinks and snacks available from our Encore Bar starting at 6:30pm most concert evenings and after each concert. This pre-concert SPARK! event includes an opportunity to meet and talk to Samuel Adams. The National Orchestral Institute and Festival brings together aspiring orchestral musicians from across the country for a month of dynamic music-making and professional exploration. Chosen by a rigorous, cross-country audition process, these young artists present passionate and awe-inspiring performances of adventuresome repertoire at The Clarice and in the community. Join the NextLEVEL and you could get your first ticket free! Refunds and exchanges accepted any time before the event, unless otherwise noted. Fees may apply.